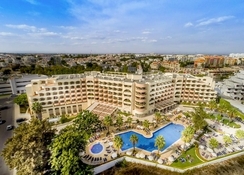 Amidst delightful sun-soaked beaches like Praia da Galé, fishing village turned resort Albufeira is home to Vila Gale Cerro Alagoa Hotel, a 4-star family-friendly hotel filled with amenities and attractions for guests. Elegantly furnished 310 rooms with modern décor, two large outdoor pools where children and adults can soak in sun and water and amazingly Portuguese dishes to relish at its restaurant, these are factors that tilt the choice in favour of the Vila Gale Cerro Alagoa Hotel. 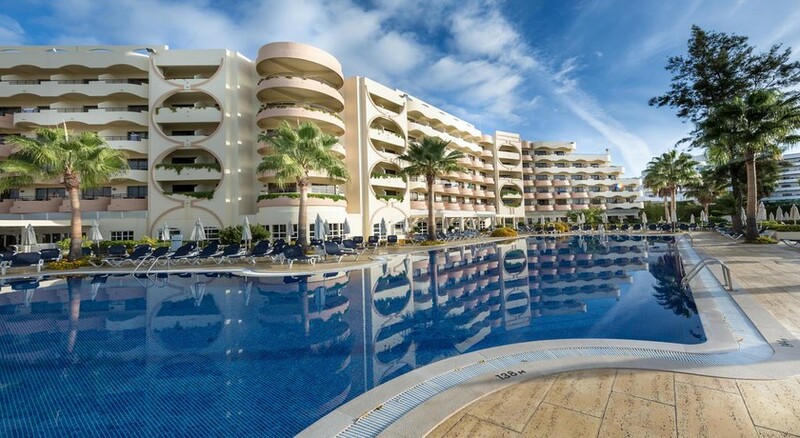 Situated in close proximity to the Strip, Albufeira's busiest entertainment centre, guests can access shops, street cafés, bars, restaurants, night clubs taking a short walk. The Albufeira Old Town has pretty cobblestone streets and Moorish-inspired architecture, best explored by a leisurely stroll. 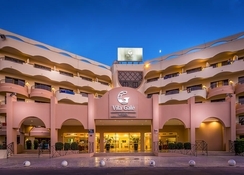 Vila Galé Cerro Alagoa is located at a central location in Albufeira. The Fisherman’s Beach is 10 minutes’ walk away. Algarve’s popular theme parks like Zoomarine, Aqualand and the Aquashow are all a short drive away. 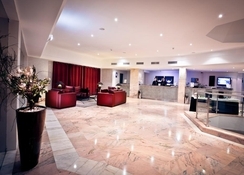 The hotel is 36 km away from the nearest airport, Faro. 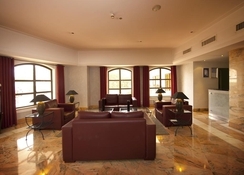 All 310 rooms are air-conditioned and twin rooms. Furnished in a modern style, these rooms come with bathroom, hair dryer, direct dial telephone, Satellite TV, radio, mini bar, safe, electronic safety lock, and a veranda. Rooms may have sea view, pool view and ground view. 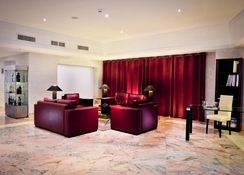 The hotel offers Bed and Breakfast accommodation with Half Board and All Inclusive options. The Versatil restaurant in Vila Galé Cerro Alagoa serves traditional Portuguese cuisine and international dishes. The breakfast spread has large hot and cold options and fresh fruits. For alcoholic and non-alcoholic drinks, guests can head to the Dog & Duck Bar and Vila Gale Café pool bar. Two large outdoor pools, an interior lagoon-style pool, sun terrace with sun umbrellas and beds offer the guests to relax. There is a fully-equipped Health Club with Jacuzzi, sauna, Turkish bath, treatments and massages. For the kids, there is a playground, Kid’s Club. The hotel offers facilities for tennis and golf. Guests ready for a watersports adventure including jet skiing, scuba diving and sailing should explore the nearby beach. The hotel hosts entertainment program in the evenings. Hotel Vila Galé Cerro Alagoa does not allow bookings for the purpose of pre-wedding bachelor/stag and/or bachelorette/hen parties and other similar events. The Hotel considers a minimum of either 5 rooms and/or 10 paying guests as a group; Vila Galé may refuse any and all sets of bookings with 5 rooms and/or 10 paying guests. For adult groups of 5 rooms or more, a refundable deposit of 200€ per person, may be requested and is payable on arrival, at the hotel’s discretion. Stag/Hen parties or similar group celebratory events are not permitted and being so forewarned, the hotel reserves the right to decline the check in to such groups.